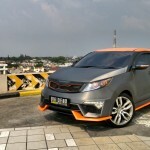 Here you have our next Interview, in this opportunity we have and a very special car from an special friend, Rockford from Indonesia and his Kia Sportage, telling us his story of how he tranformed his Sportage into an incredible SUV inspired by Kia’s Provo concept, debuted at the 2013 Geneva Motor Show. 1. Give us some background about yourself. 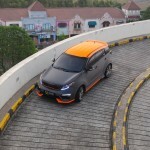 I’m Rockford from Jakarta Indonesia, an active member of the Indonesian Sportage Community (also a mascot of some sort…) and an all round Car Enthusiast. I’m a 23 year old IT consultant slash young designpreneur and I just finished my 2nd degree in economics. 2. 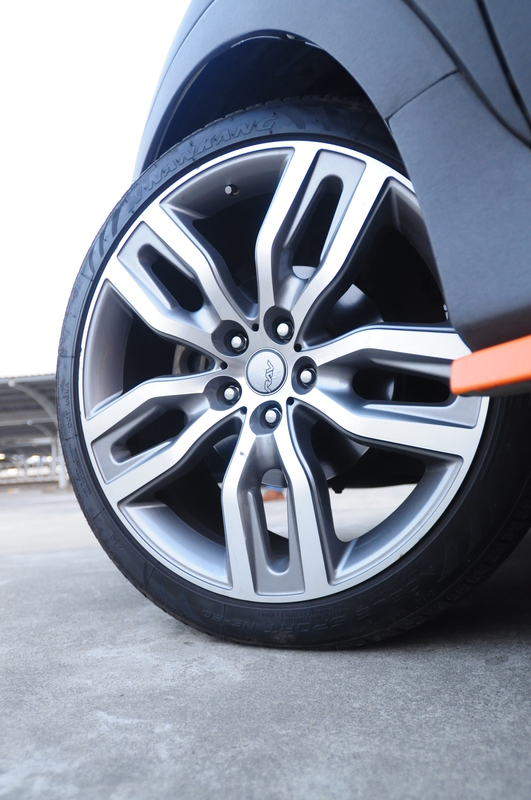 Can you tell us some of the cars you had before? In the past Ive had a Honda Fit, Nissan Xtrail, and Hyundai Accent Wit. But currently in use are my mom’s Chevy Sonic and of course my beloved Sportage. 3. Which car you modified first and why? To be frankly honest with u, none of my car has ever been left stock. 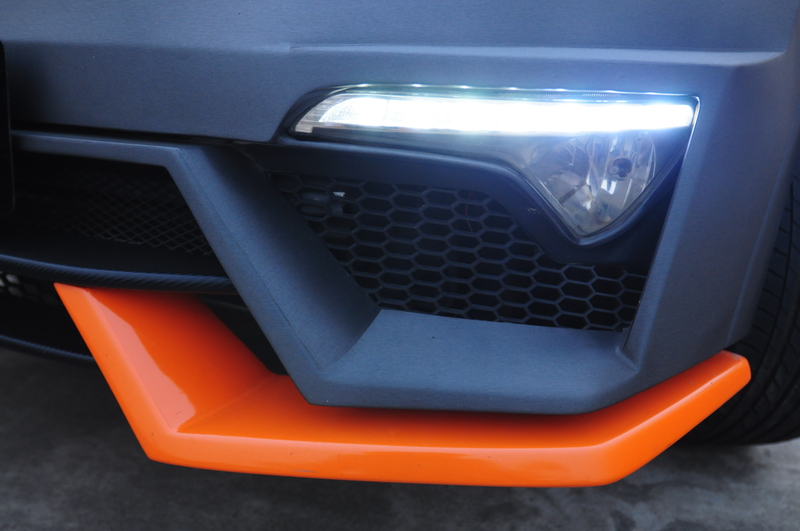 Light touches are given to each and every one of them to express individuality, but the first one to be “strikingly modified” was my Chevy Sonic because at that time i was challenged to pull of a “Bumblebee” look for the premier of Transformers 3 Dark Side of The Moon. 4. 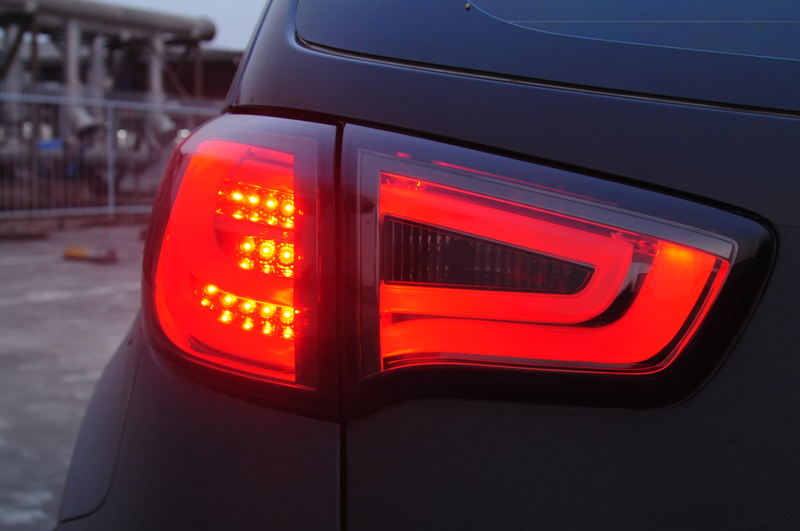 When was the first time you heard or seen the Korean Automaker? 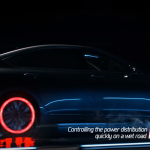 I began my interest for the brand when Soul was first released (as a design conscious person, Soul immediately caught my attention with its uber chic design, too bad its not available here in Indonesia) and it escalated when Schreyer took charge of Kia’s design department. 5. 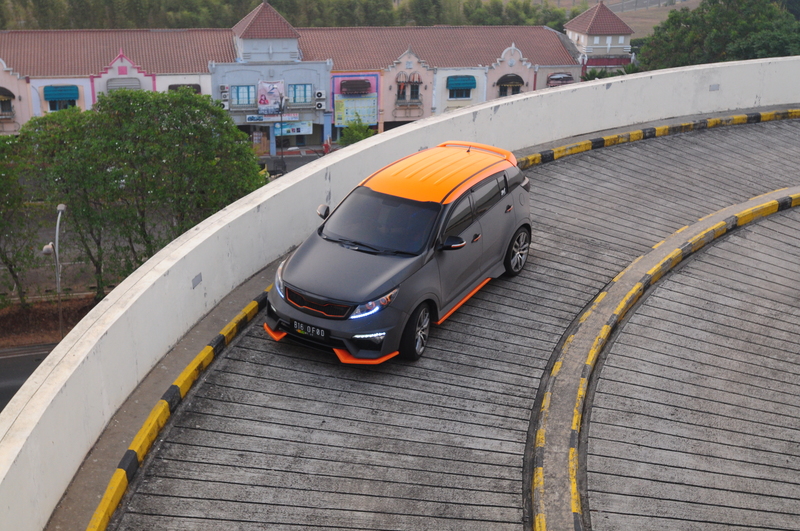 How did Kia grabbed your attention? 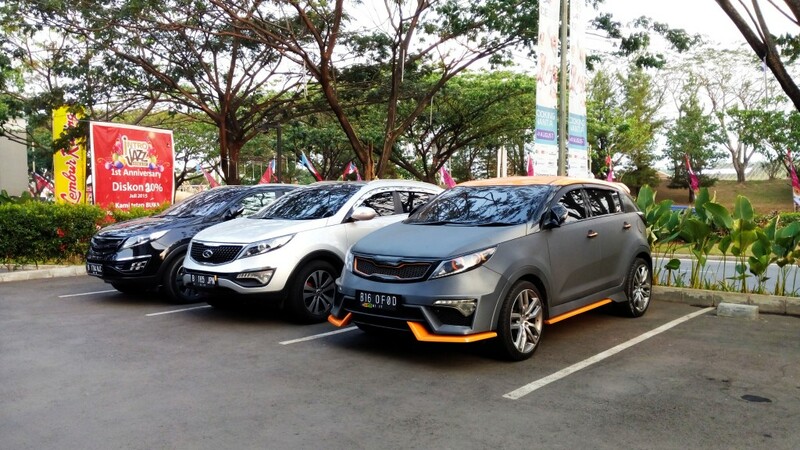 Sportage was the first “Halo Car” to bear the “Tiger Nose” trademark here in Indonesia and its premium looks, list of features, and best in class value for money won me over. I love cars that stands out and Sportage definitely delivers. Even in stock form it already turns heads, but i love exploring the possibility of designs, thus I decided to add a bit of customization. 6. 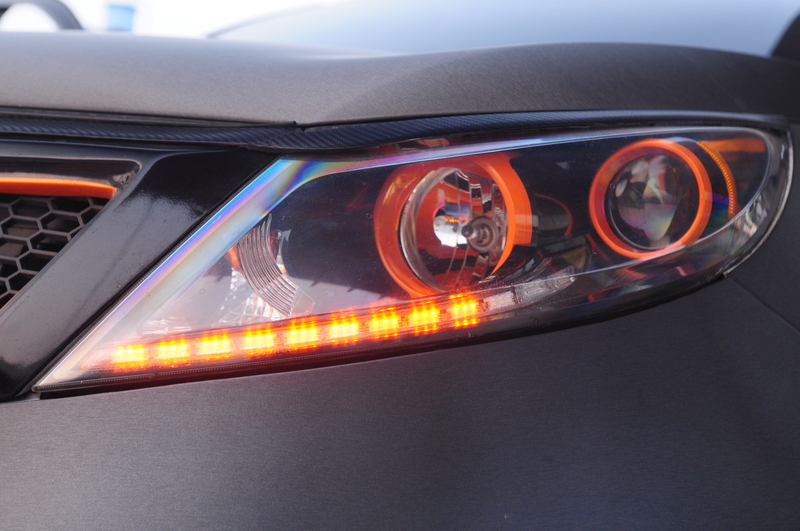 Tell us your current modifications on your Sportage. 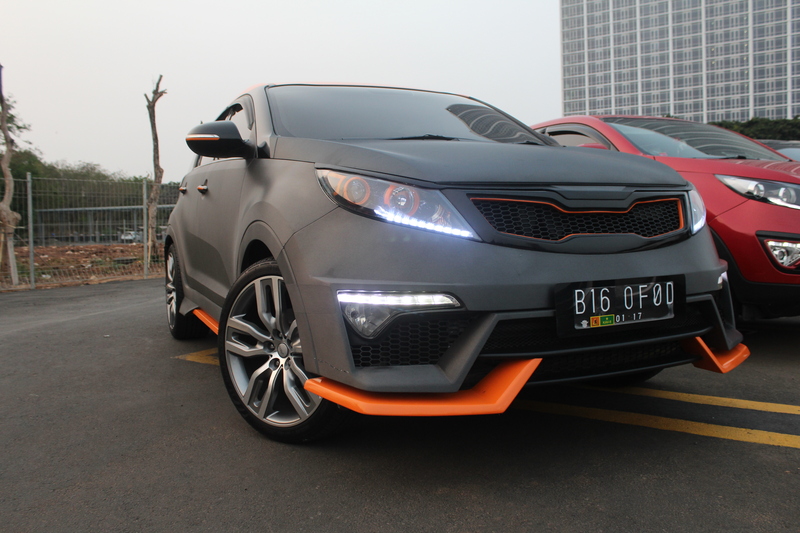 I designed custom bodykits which consist of custom front bumper, sideskirts, and rear add-on inspired by the Kia Provo Concept. Wheels are a must and my pick goes to 20 inch RAV Predators finished in Gunmetal Polish wrapped in 245/40/R20 Nankang Noble Sport tyres. To make it stand out even more, I wrapped it all up in 3M Brushed Titanium vinyl coupled with Harley Orange accents on the roof, spoiler, sideskirts, and door handles. In order to truly respect Mr Schreyer’s work, I decided to turn to one of Kia’s own concept car as a reference because I dont want to ruin the car’s original persona. 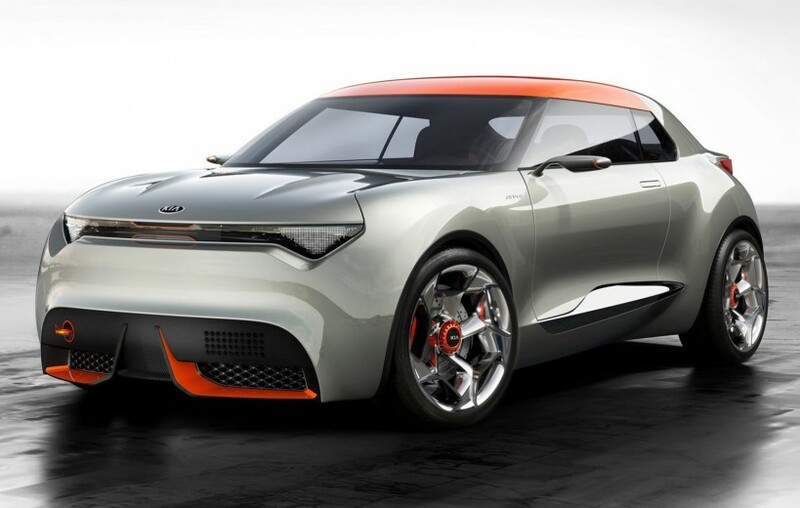 Thus i was greatly inspired by the KIA PROVO CONCEPT in terms of exterior bodywork. I love taking inspirations from concept cars because it enables me to truly explore what the future of automobile has to offer. 8. What is the modification you like the most? I love most of em, but if i have to pick one, it would be the exterior bodywork. 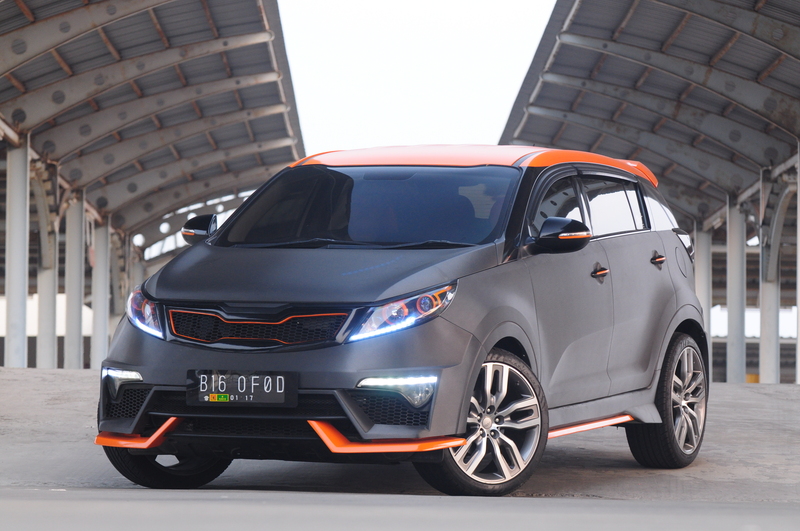 Its still a Kia by any means, but it shows that a Kia can be both striking and chic to look at. Its unbelievable how many necks Ive broken with it. 9. 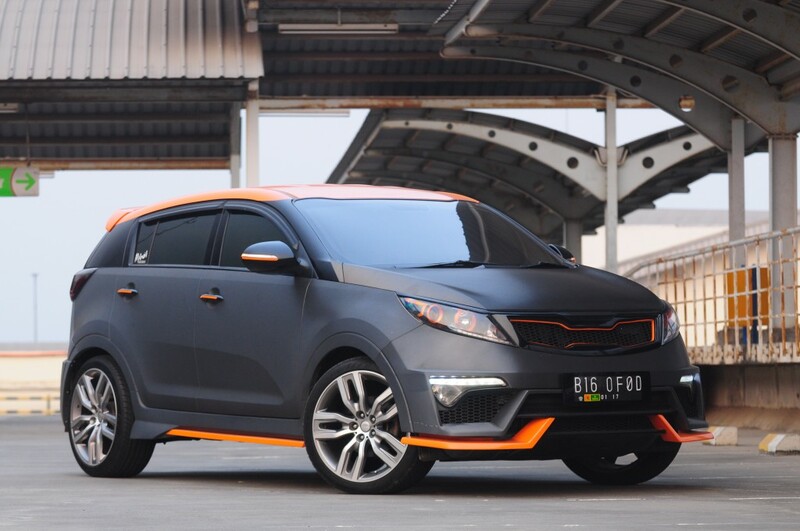 Since you have now modded your Kia, what potential you see in it now? 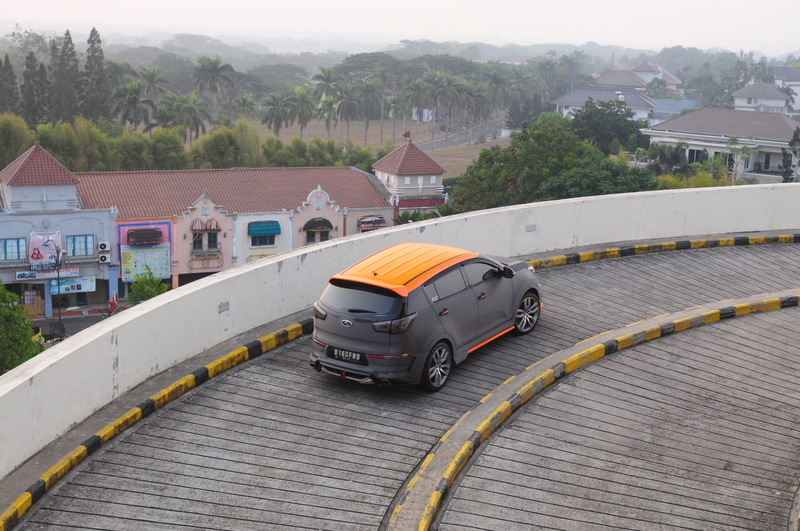 I see a car that is flexible enough to be driven as a daily commute, yet at the same time cool enough to be taken to a gathering during weekends and events. 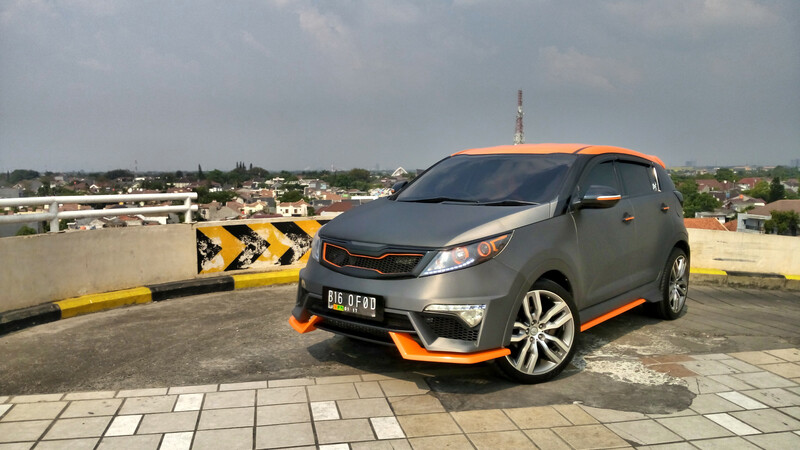 Since Kias are rarely modified here in Indonesia, having one with such striking mods shows that a Kia can be just as cool as those JDM and USDM cars out there. The potential is there from the start, its just a matter of exploring and experimenting. 10. 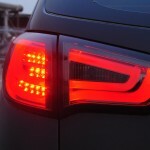 Tell us what you love about your Kia Sportage? 11. 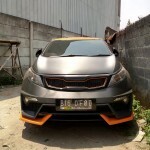 How difficult is to modify your car in Indonesia? 12. Are you part of a car club? 13. Do you usually work on your Sportage by yourself? While the idea and concepts are done by yours truly, most of the work had to be done in a custom workshop. 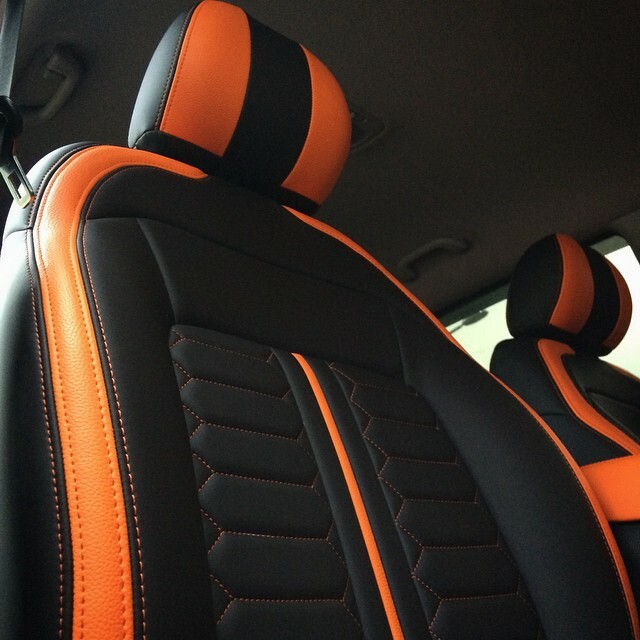 Custom bodyworks had to be done from the ground up and it takes professional custom hands in order to accomplish such detailed and clean overall result. So in the end, I would like to say that its a group effort. 14. What are the future plans for your Sportage? Im still searching for the right lowering kit, since the car is a daily commuter and I couldnt compromise on ride quality. Custom springs are widely available here but mostly at a cost of ruining the car’s ride and drivability. 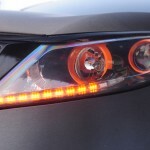 So yeah, hopefully one will be available to complete the look of my car soon. 15. We are dedicating this space for you, for example thanking everyone you like or giving some inspiring words. This is the 2nd Kia I’ve owned, my father used to own a Carnival back in 2004 and my how things have changed. The car runs smooth and the dealer is always superbly responsive to all of my requests and complaints (Shout out to KIA BINTARO for being such an awesome community-centric dealer!). 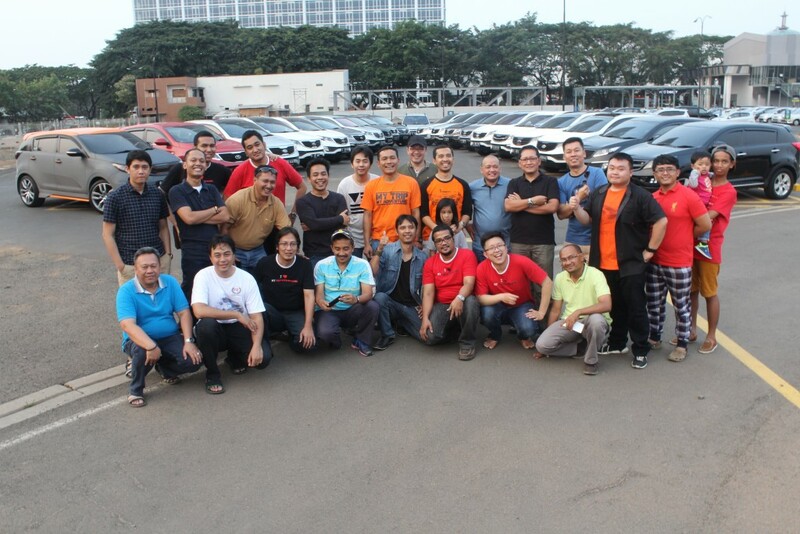 I’ve never owned a car that has this much bond between man, machine, dealer, and community. 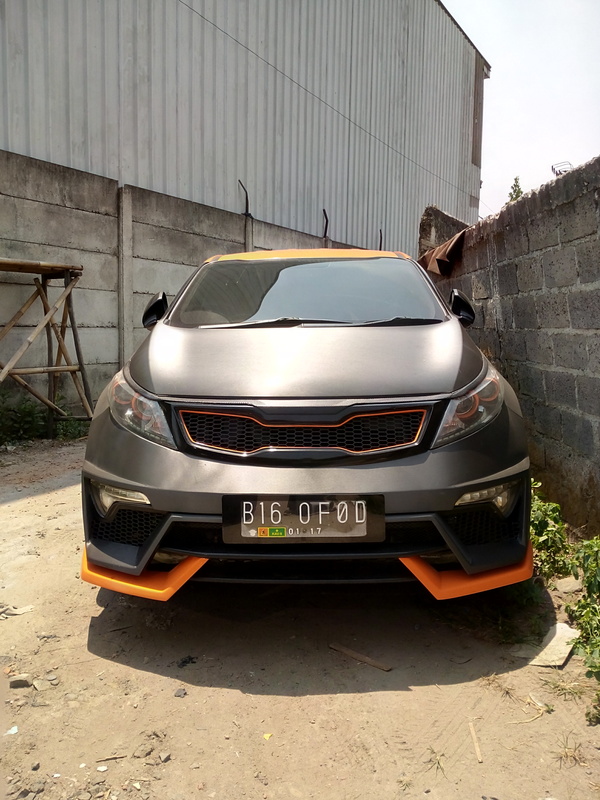 And finally all of this wouldnt be possible without the invitation from the one Blog that serves as my source of information and reference regarding KDM Automotive and Lifestyle. 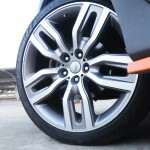 The KOREAN CAR BLOG. Thank you so much Jose Antonio Lopez for the awesome opportunity, I really really appreciate it mate. 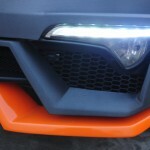 Thank you to each any every one who ran the Blog with such passionate updates regarding KDM automotive. 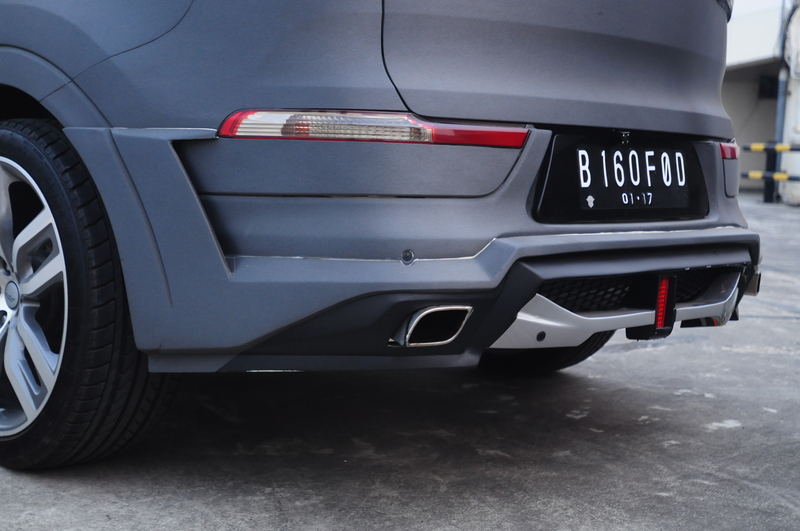 KDM deserves to shine in the ever growing automotive industries and you guys helped to achieve that!